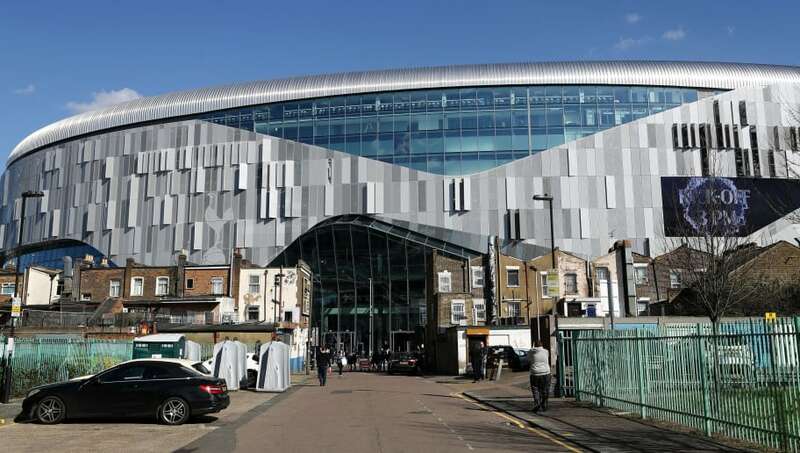 Soft drinks giant ​Coca-Cola have won the naming rights to the Tottenham Hotspur Stadium, with the 62,000-seater venue's new title to come into effect immediately. The stadium, which is now the biggest club venue in London, is finally set to host its first Premier League game after months of delays. Following an Under-18s test event, legends match and ​first-team training session, ​Spurs will play their first game at the newly named Coca-Cola Arena on Wednesday night as they take on London rivals ​Crystal Palace. It is reported that Coca-Cola beat out other bidders Heinz and Evian to be awarded the multi-million pound sponsorship deal, which includes several other marketing initiatives in addition to the naming rights. A PR representative from Coca-Cola said, via a ​press release: "We are delighted to announce this partnership with Tottenham Hotspur. "As the most famous bottle in the world, Coca-Cola obviously has a lot of synergy with Spurs. It's a match made in heaven for us. "We look forward to a relatively successful but ultimately disappointing partnership." As part of the new sponsorship deal, Tottenham's traditional matchday mascot of a cockerel will be replaced by a giant bottle, while there are reportedly talks about including the bottle insignia on the club's kits for the following season. As part of a corporate responsibility programme, Coca-Cola and Tottenham have committed to installing bottle banks around the state of the art venue for recycling, encouraging fans to 'bottle it!'. When asked for comment, manager Mauricio Pochettino said: "How did this get signed off? I mean really. Come on. God, I wish I was at Real Madrid." Just in case this wasn't already abundantly clear. This is an April Fools' and not a real story.